Welcome to our Newly renovated, Decorated Bach near the beach in busy St Clair Suburb. A minute walks to Esplanade St Clair Surf Beach, Spa St Clair, Hair Salon, Restaurant/Bar, Cafes and Hot Salt Water Pool. Easy access to City Centre, good public transport with regular bus service to and from town every 10 minutes, 50metres to a bus stop. 5-minute walk to Dairy, Butcher, Takeaways outlet. Nearby horse racecourse Trotts every fortnight evening meeting. This property is located right in the prime position in St Clair close to the Beach. Small Family with 1 or 2 children welcome. Special Deal for a stay over 7 days. Fully Equipped Kitchen, has everything you'll need to enjoy your stay, new toaster, electric jug, Electric Blankets, Hairdryer, and iron. Fridge/freezer, Cleaning supplies. No Pets not to exceed the number of persons booked in. Inform the owner if urgent repairs are required, if not just leave a note at the end of stay. Andrew and Betty are managing several rentals properties of their own around Dunedin. It's in the prime location, low maintenance easy to look after. Close to Popular St Clair Beach, Restaurant/Bar, St Clair Salt Water Pool and Cafes. Close to Popular St Clair Beach. Bed sheets, Extra Blankets, pillows and Electric Blankets. Off street parking up to 2 cars. Spark Coverage, Internet Broadband Wifi. Bath towels, Hand Towels, and Face Towels plus extra. Tea, Coffee, and sugar. Paper towel, Hand towel, Plates, Cups. Cleaning Detergents. Cooking utensils, Pots, and pan. Fully Equipped Kitchen, Cutlery, electric jug, Toaster, selection of tea, coffee, sugar. Cleaning material. Close to park and playground, Restaurant, cafes, swimming salt water pool and close to Bus stop. 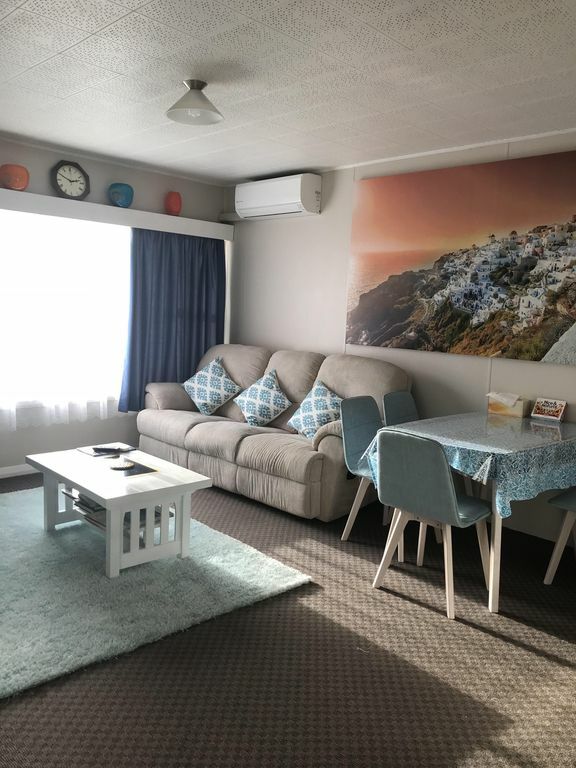 Very close to popular Beach st Clair, easy access to City, good public transport with regular bus service to and from town every 10 minutes, bus stop only 2 minute walk from the property. Close to Restaurant/Bars, cafes. Walking distance to Dairy, Butcher and Takeaways outlet. Close to Race Course, Ice Skating Stadium, Park and Play ground for children, Bowling Club and Golf Club. 3 minute walk to Hot salt water pool, Salon and Spa.